Mortui sunt aclyoneum libros (Dead coral books) represents the diminution of our regard for encyclopedias and books. It examines the influence and effect of the internet, which seemingly decreases our reliance on books. 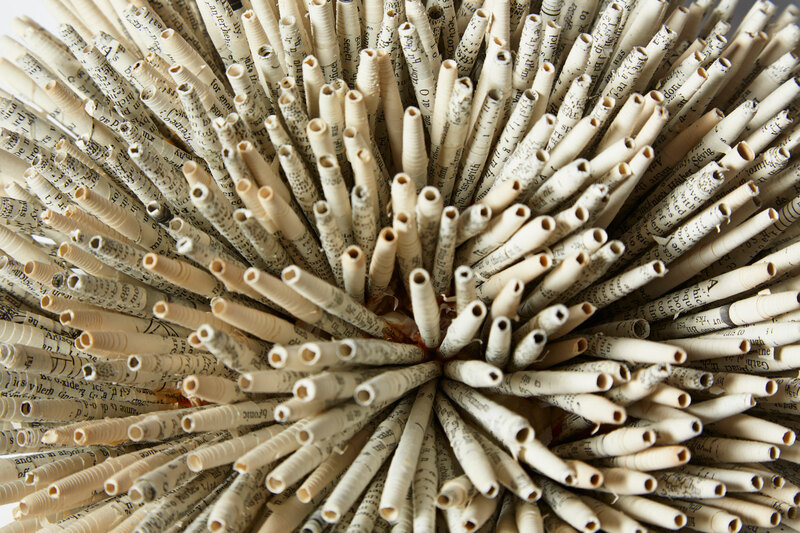 The lack of colour is a symbolic link to the form (modelled on coral). When corals are stressed by changes in conditions such as temperature, light or nutrients, they expel the symbiotic algae living in their tissues, causing them to turn completely white. 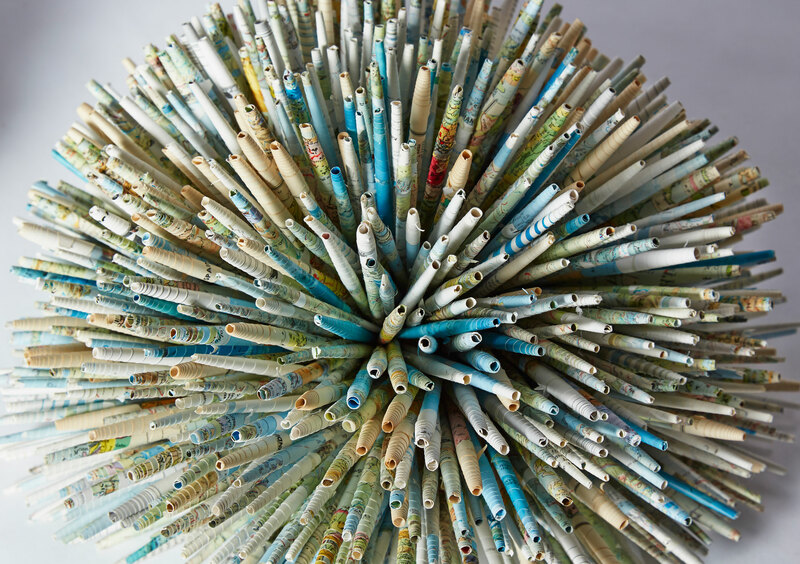 One of the pieces is made from an atlas to identify the trend as a global, rather than a local, issue.